A chic scarf for that cold winter weather. 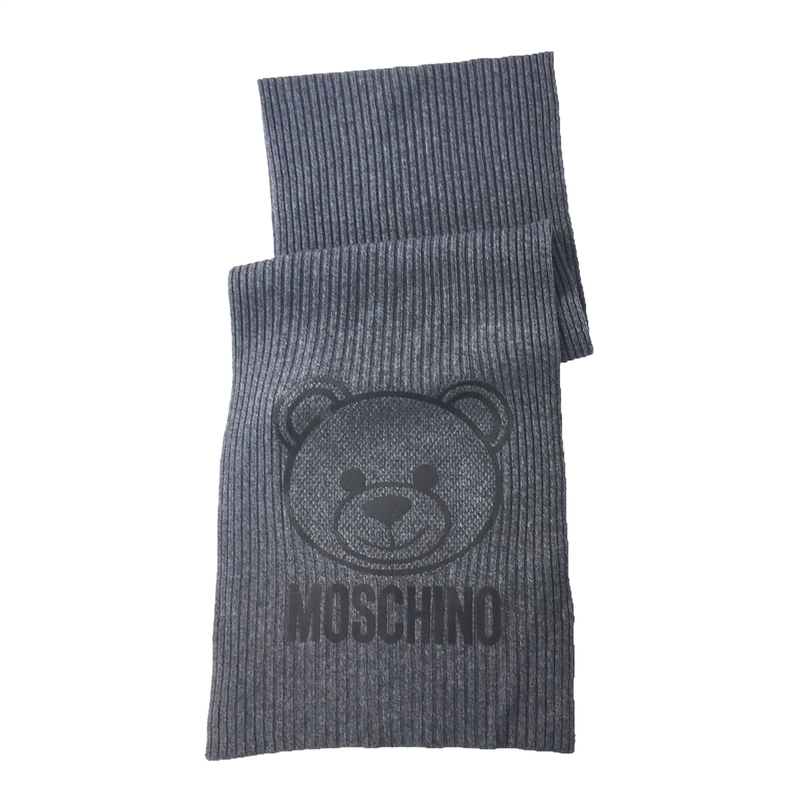 Dress warmly and in style with the Teddy Bear Wool Scarf by Moschino! Knit scarf with iconic teddy bear graphic and logo at end. Scarf features clean design with solid edges.